London on 2-wheels is far easier than using a bus! 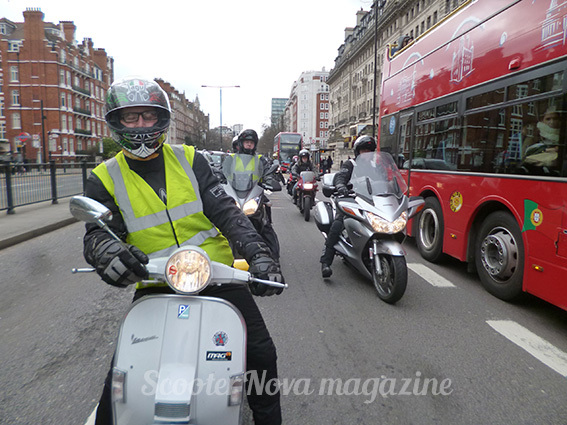 The Vespa Club of Britain offers a new challenge for its members in 2015, taking a slightly different route (metaphorically!) to the usual club membership trophies competed for today. Instead of the now regular ‘events attendance’ championship (which the club are also running) the Regional Competition is more about riding your scooter at your own leisure to points of interest around the country. There are both regional and national points to visit and various awards to be won depending on where you ride and how many you tick off the list, with photographic evidence required as proof. Sounds like a whole load of fun to us! For more details and entry (you have to be a VCB member) visit the club’s website at www.vespaclubofbritain.co.uk so have fun and good luck!